Mmm it's dinner time for this hungry angler fish! 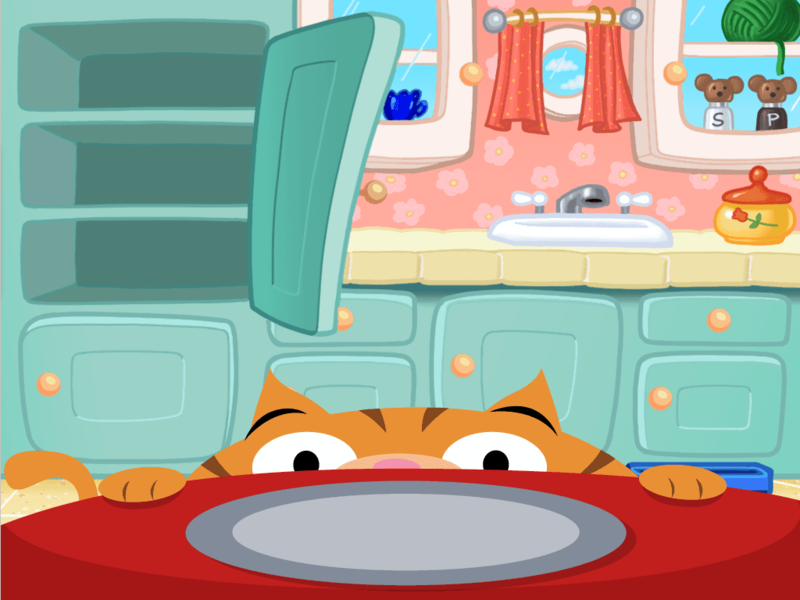 Thanks to his symbiotic relationship with bacteria, he knows just where to look for his next meal. Discover how this unique relationship works and connect the dots to help the angler fish find his food. 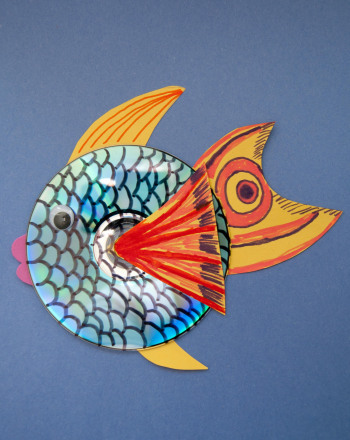 Celebrate Earth Day, or any day, by recycling an old CD and make a colorful, decorative fish! Take a trip down to the deep blue sea and learn about the life cycle of a fish! Fish go through the same stages of life as many other living things. Do fish drive around from place to place? Have a fun storytelling adventure with your child and create an imaginative story to go with this picture. 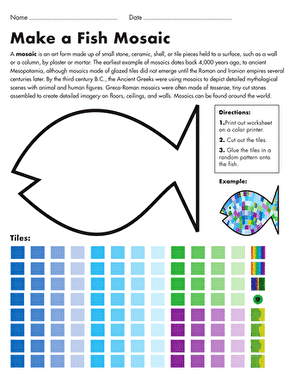 This fun printable project allows your second grader to cut out paper mosaic squares and then paste them on to a fish shape to make a colorful mosaic. 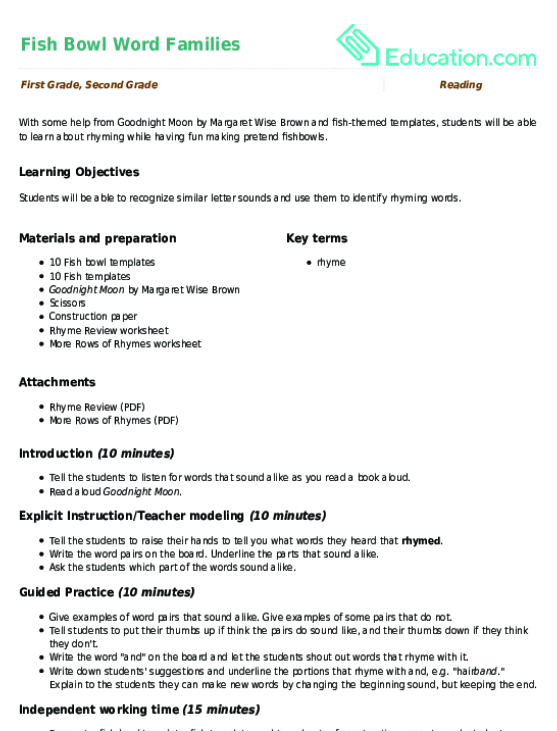 With some help from Goodnight Moon by Margaret Wise Brown and fish-themed templates, students will be able to learn about rhyming while having fun making pretend fishbowls. Finish the Drawing: What Kind of Fish Can You See? Your child will get to use his fish-drawing skills in this Finish the Drawing worksheet. Kids can add carp, salmon, and rainbow fish to this creative worksheet. Play Terrific Tens Go Fish! 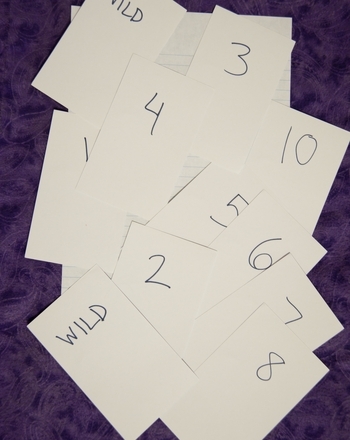 Make practising addition facts more fun and teach your child some helpful strategies with this spin off of the traditional "Go Fish" game. This undersea coloring page has a mermaid swimming with fish among a bed of coral, lots of detail to strengthen your child's fine motor skills.